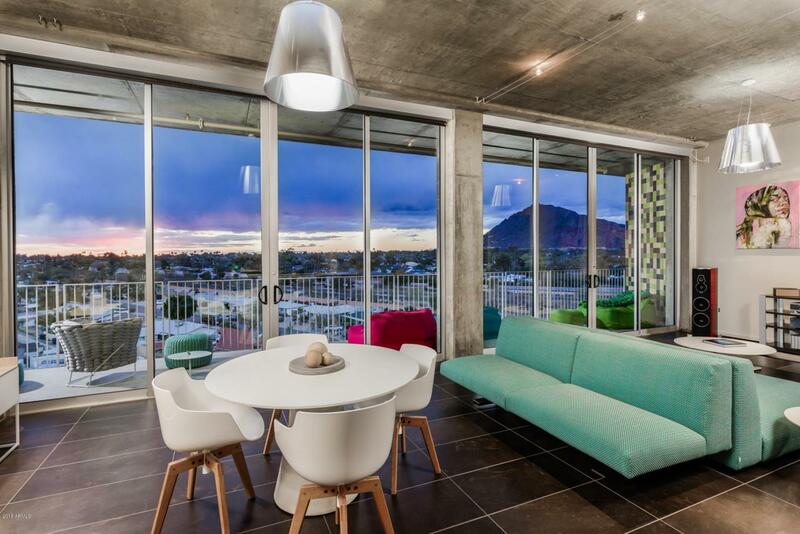 Enjoy your own slice of Mid-century modernism in Old Town Scottsdale. Penthouse 7703 offers sweeping Camelback views from the 7th floor with 11 ft. floor-to-ceiling windows spanning the entire residence. This double master offers luxurious design elements, resort amenities, and one-of-a-kind life style. Enjoy Arizona sunsets from the oversized balcony. Seasonal American fare at ZuZu with special discounts for Penthouse owners. Unwind with revitalizing treatments at VH Spa, two relaxing pools and fitness center. Choose from add-on amenities including 24-hour room service, housekeeping and valet. The best of the city's art galleries, shopping, restaurants and night life are a short stroll away. A unique ownership opportunity for full or part time residents. Make your stay permanent!